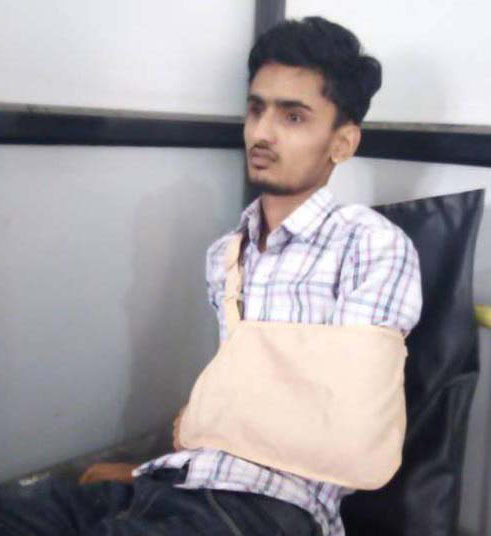 Nikesh Baral, a journalist associated with www.ujyaalopradesh.com (an online news portal) was assaulted by political party's student wing at Sundar Haraicha of Morang district on March 29. Journalist Baral was assaulted while taking videos of the protest organized by Nepal Student Union, the student wing of major opposition, Nepali Congress. Morang district lies in Province 1 of Nepal. According to Freedom Forum's representative for Province 1, Bikram Niroula, those in the protest attacked journalist even after he disclosed his identity as a reporter. With the attack, Baral sustained injuries in his head and hands and even his mobile phone was damaged. Freedom Forum condemns the attack because it is sheer violation of press freedom and journalists' right to free reporting. Media have every right to report on the incidents relating to public issue and to cover and capture such incidents. Journalists on duty should not be assaulted and created favourable atmosphere for reporting. FF urges the concerned authority, and the Nepali Congress, to instruct its cadres to respect press freedom which helps boost democratic values. Safety of journalists is imperative to ensure professional journalism.